However, what goes on in the classroom is not transactional. When they’re in the classroom, each student is a PILE—a Partner in the Learning Enterprise. A Partner in the Learning Enterprise recognizes that each of us has a set of responsibilities in order to create the magic that happens in a great course. There is work to be done; there are questions to be asked; there are assignments to be read; and, reciprocally, the professor has the obligation to be prepared, to be interesting, and to be engaging. If either side of the relationship doesn’t perform their roles as defined, you clearly have a subpar learning experience. A successful experience requires co-creation. When students go out into the labor market, they’re products of the overall experience provided by the college or university—and it should be transformational. Consider that students typically spend 14 hours a week in classes and 154 hours outside of classes. I believe that the value of college is as much a result of the experiential learning and student entrepreneurial leadership opportunities that occur outside the classroom as what happens in the classroom. So, in addition to renewing curriculum on an ongoing basis to make sure course offerings are fresh, relevant, and compelling, colleges should work to ensure that their co-curricular environment is connected to the curriculum and evolves in exciting ways. Students and faculty, along with staff, are co-creators in shaping these out-of-classroom experiences as well. Colleges always can produce better products; that is, do a better job of preparing students for the workplace. At the end of the day, everybody on campus needs to understand—whether they’re engaging in a consumer transaction, a partnership transaction, or a product development activity—that the ways they approach their relationships are going to be profoundly impacted by the market. There’s no question that a faculty member’s syllabus, particularly in a core business subject, is going to be heavily affected by the expectations and desires of the hiring market. Every school has to regularly stay connected to employers to understand what they’re looking for in skills and practical experience, as well as what they appreciate in terms of the cultural and behavioral characteristics of students. This clarification of student as partner, student as customer, and student as product is an important distinction in determining how to design an educational experience that produces superior outcomes. 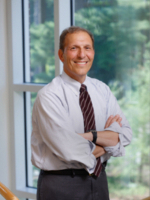 Leonard A. Schlesinger is the president of Babson College. Previous Previous post: From Street Gang to Ph. D. – It is Easier to Work Harder than Get Smarter.